In a perfect world, everyone would be able to get the auto loans they need to buy the cars they want. But unfortunately, that’s often not the way things work. There may come a time when you want to buy a new vehicle, but you’re not able to get the kind of loan rate that you want. What are you going to do then? It may seem like there’s nothing you can do, but there are solutions available to you and everyone who lives in River Ridge, LA. Check out what to do if this happens to you, and you’ll have the preparation you need for whatever comes your way. The best way to ensure your credit score never gets too low is by keeping track. You should be checking your score at least a few times a month to make sure that there aren’t any major changes. It’s easy to do this by going online and using a credit check website such as Credit Karma. That way, you will always know where you stand, and you’ll be able to decide if it’s a good time to buy a car in River Ridge, LA, or not. If your score isn’t looking so great, you may have to work to improve it. The best way to do this is to pay off any outstanding credit card debt you may have. That takes a huge toll on your credit score, which is something that you’ll want to avoid as much as possible. You may also want to apply for new credit cards to increase your credit to debt ratio. There are also other ways to improve your score, so ask a financial expert in River Ridge, LA, if you have any other questions. It’s not always easy to improve your credit score at the last minute. When that is the case, you may just want to wait a while before you buy your next car. If it’s at all possible for you to drive around River Ridge, LA, in what you already have, it’s probably in your best interest to raise that score before you apply for an auto loan. 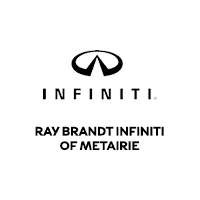 Come to Ray Brandt INFINITI to speak with a River Ridge, LA, financial expert.